Courtesy of a kind reader. I wish I had taken this picture, but alas I didn't. Excuse me I, uh, just need to use the ATM. Do you know roughly when/where it was taken? 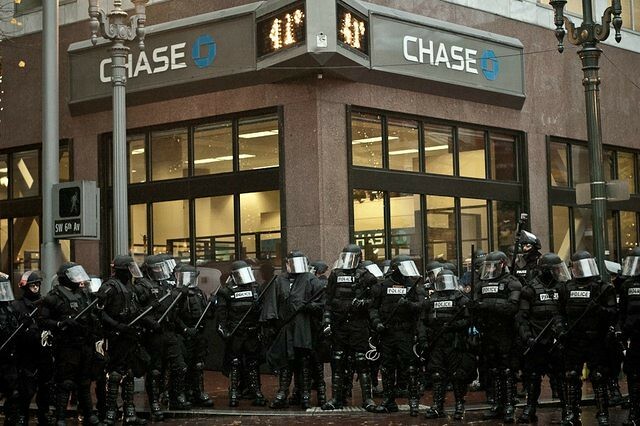 I guess BMO doesn't give as many donations as Chase bank does to the cops? This page contains a single entry from the blog posted on Monday December 5, 2011 01:04 AM. The previous post in this blog was imaginary presidents vs base line presidents. The next post in this blog is The edumacation perplex.